1940's vintage WWII homefront hand painted scarf & matching handkerchief. White rayon georgette with blue, gold and red painted image. 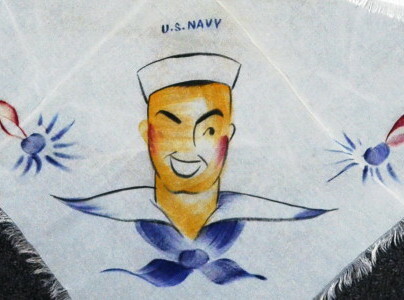 Hand painted image of winking sailor and ship's rope. Military US NAVY motif keepsake for the sweetheart at home. Square shape. Fray edges. 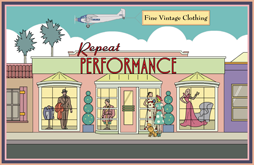 All original 40's vintage. For the forties' sweetheart at home, a momento of her charming sailor boy! 21 1 /2"X 21 1/2"
Excellent vintage condition. Scarf shows some age soil marks at folds, hankie shows some faint soil marks.